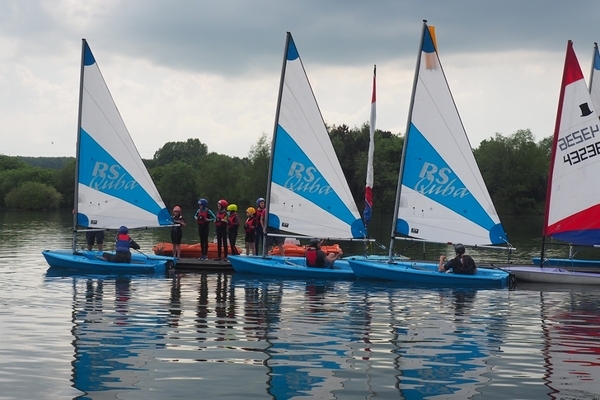 This is the first sailing course for teenagers (age 16 and over) and adults with little or no experience. You will have the opportunity to sail both in crewed boats with an instructor on board, and on your own in single-handed dinghies. In 2 days you will learn how to rig & launch a dinghy, the basics of boat handling on the water and gain knowledge of capsize recovery, rules of the road, rope-work, weather & wind awareness. On completion of the course you should be able to sail on the lake in light winds with supervision and safety cover. To book go into the Calendar, find the first day of the course and click on 'book'.